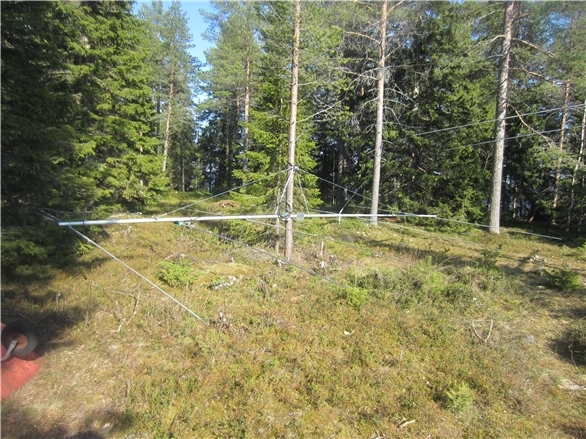 This antenna is now one of the two in the 15m stack, a second 5el/15m was built later. 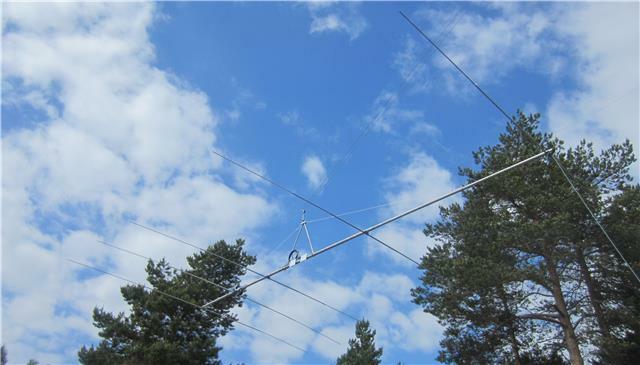 The 15m antennas is a former JP21-4 made by Finnish Antenna Ltd. 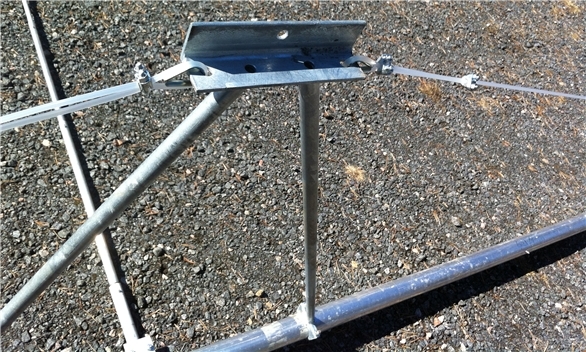 The boom lengthwas 9.4 m (31 ft). 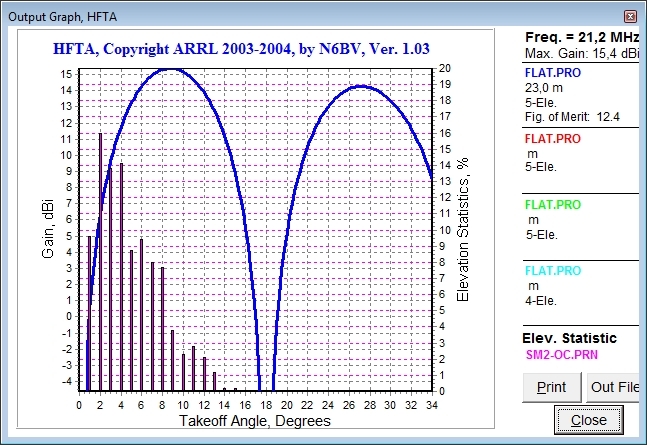 The antenna is redesigned to a 5 el OWA, to get more bandwidth out of it, and get rid of the 200 ohm hairpin. 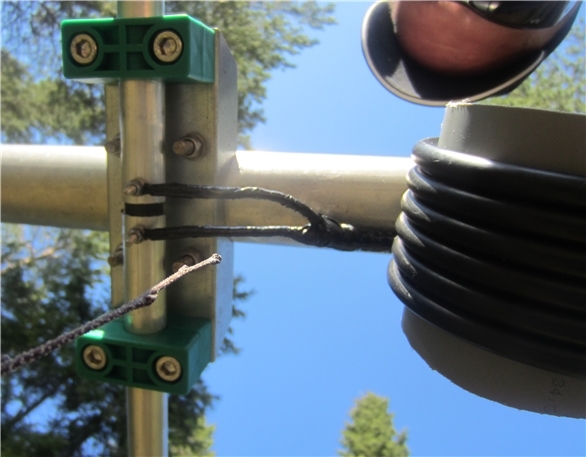 I have bought a new driven element of their new design, the old driver will be used as a third director The boom is extended 10 cm to 9.5 m. There is no matching harness the design gives 50 ohms without any matching. 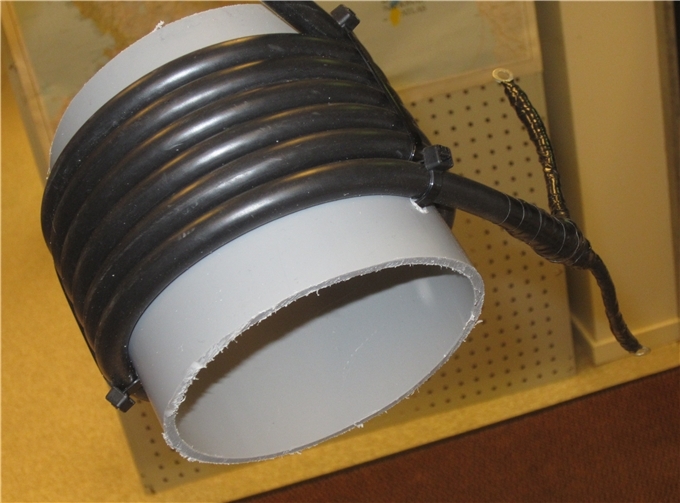 There will be a current balun of course. 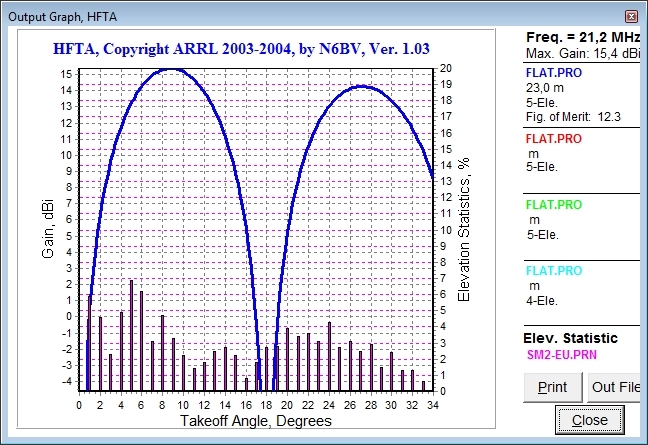 The design is from Finnish Antenna ltd, no changes are made. 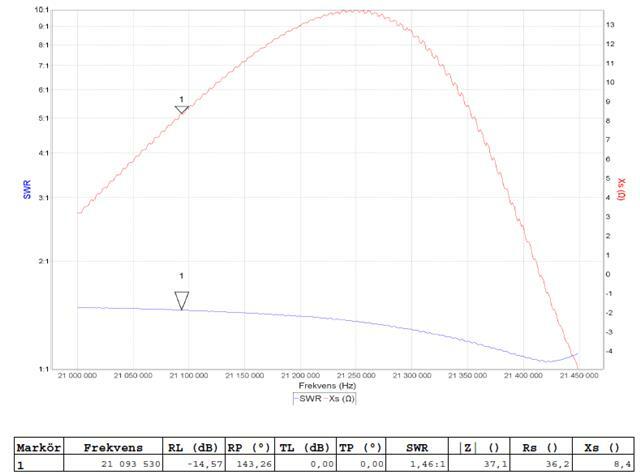 SWR curve with antenna 7m over ground. 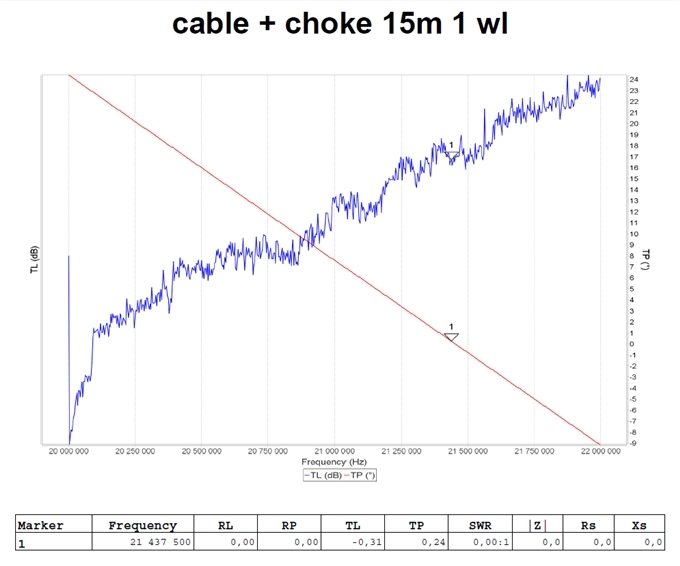 Monofil are used to guy the boom. 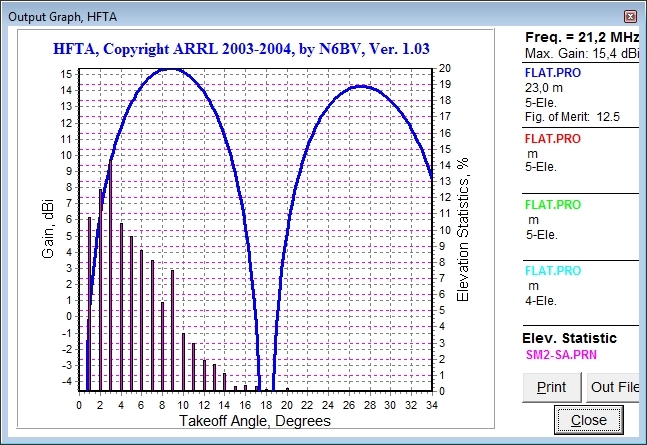 The curves below are showing expected data for the new modified 5 element antenna. 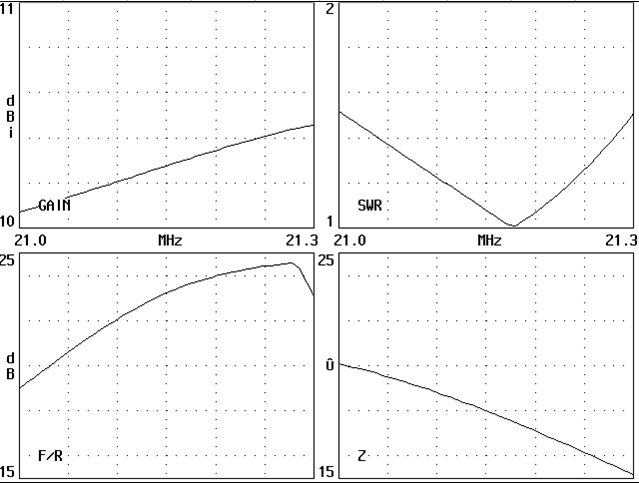 Below the RF-choke, 6 turns of RG-213 on a 110 mm ( 4,33″) plastic tube. 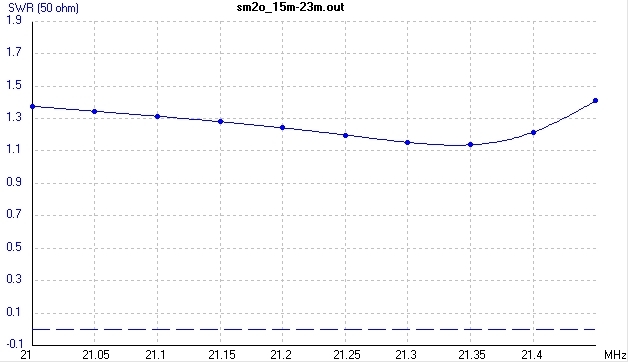 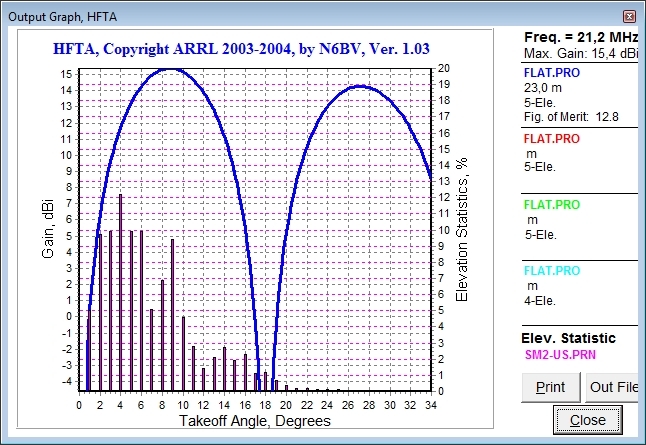 VNA plot for the final 1 wave length feeder including the choke. 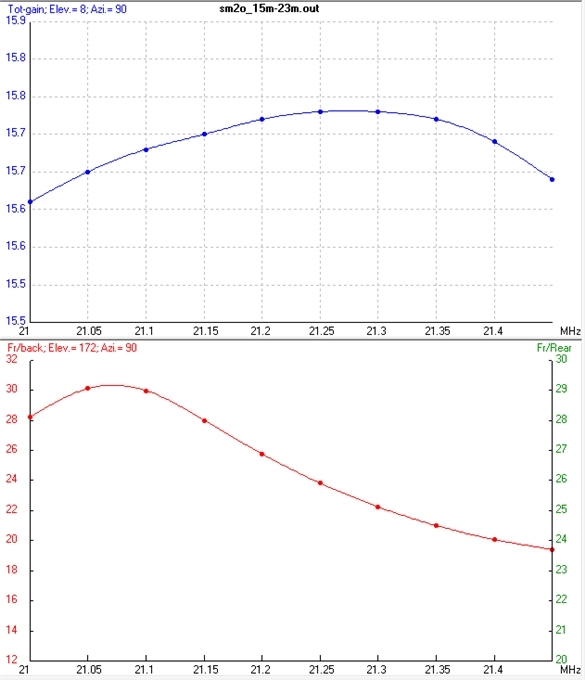 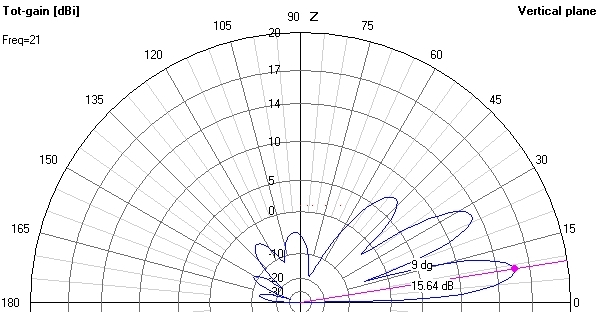 Phase shift 0.24 degrees, Loss 0,31 dB. 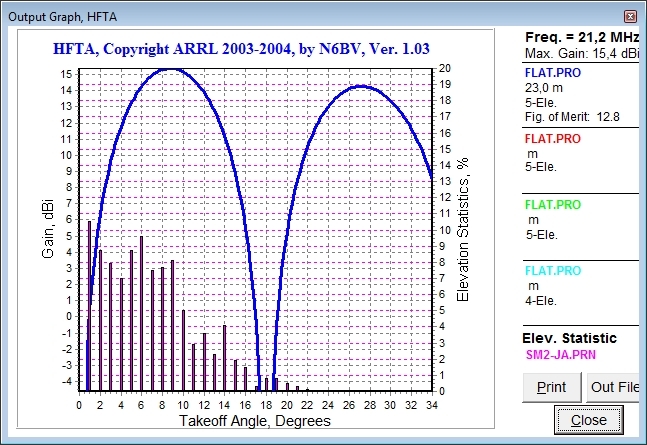 HFTA plots for the antenna at 23 m (75 ft). 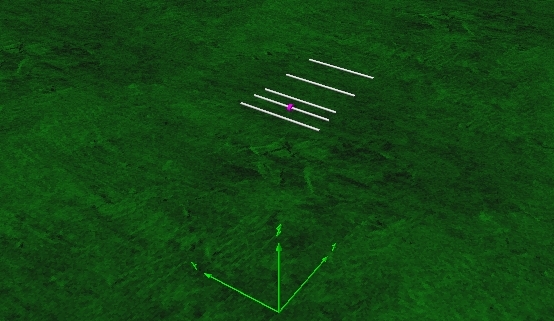 Great for all paths but EU where it’s to high.